Tammy Van Oppen, voted the Tri-County Female Athlete of the Year, had a Bradley basketball career that will be surpassed only with great difficulty. "She leaves the Hilltop," says the 1997-98 Bradley women's basketball press guide, "as arguably the best all-around player in the history of the program." 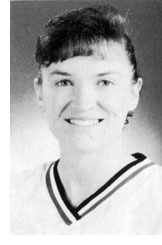 She was selected to the 1996-97 All-Missouri Valley Conference defensive team and all-conference tournament team. She was Bradley Athlete of the Year. She recorded the first "triple double" in the history of the women's or men's basketball program. She also led Bradley in scoring and rebounding in her two varsity seasons (she started her career at South Florida) and also led the Lady Braves in assists and steals in her senior year. She was an NCAA Woman of the Year Award nominee. At Limestone she was voted Illinois Miss Basketball when she led Limestone to a 32-1 record and second place in the state. 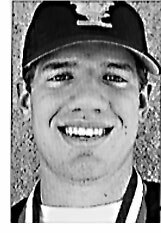 Zach led Illinois Valley Central to the Class A state baseball championship in June. He finished with a 12-1 record and a 1.04 ERA, striking out 116 batters while walking only 13. Drafted in the third round by the New York Yankees, he signed immediately and went 5-2, with a 3.09 ERA and was ranked by Baseball America as the No. 18 prospect in the Gulf Coast League last summer.